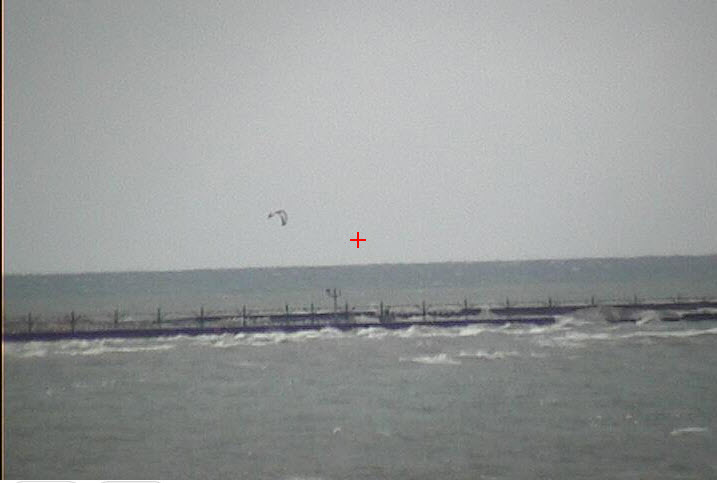 Last Week: No forecast, but there was some kiteboarding on Friday and Saturday. A good north wind up in Manistee last Friday and a SW wind along the entire shoreline on Saturday allowed for some riding. There was still some ice along the shoreline in many places, but enough was gone to safely get in and out. Today: Wind has been cranking all morning long mostly out of the west and should continue into the afternoon but dying down all the while. 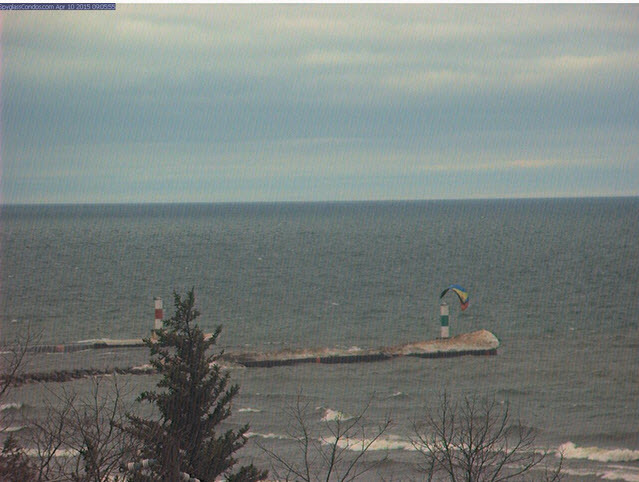 Saturday: Looks calm, not really enough wind to kiteboard. Sunday: Looks promising for a south wind to build late morning and afternoon. It should be in the 15 to 20 knot range from Muskegon and further north with Little Sable Point being the windiest. It looks like there could be a little SSE direction early on which would not be good at LSP, but if the wind is more SSW, than LSP will be good. There are a couple other factors to consider as well. Very cold water can sometimes really kill warm south winds. Where it might be blowing good a mile inland, there could be nothing at the beach. Also, if there is very much moisture in the air blowing over cold water, it can lead to fog. We just missed each other in the DR. We arrived on Friday the last day of the Masters of the Ocean at Millennium. Got 5 out of 6 days and had 6 out of 6 there last year. We saw Chris Bobryk a couple days as well. I am surprised you saved over flying into a different airport and taking a cab as I have alweays flown into POP. That’s awesome! Glad you scored there too. I had travel vouchers with Delta and they don’t fly into POP. Nearest they fly into is STI, so that is how I saved on airfare. 16-17 out of the south currently in muskegon. Should only improve from here!